Volvo Car and DSV have opened the doors to the first national parts warehouse for Volvo Car India. DSV will manage all aspects of the warehouse, including customs clearance, value added services, and last mile delivery to dealers within India. “This will provide world class customer service and support our ambition of doubling our segment share by 2020. 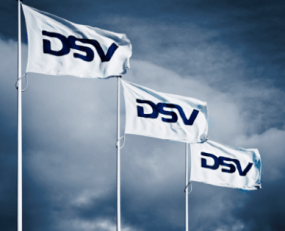 With DSV as partners, I am confident we will reduce turnaround time for our customers. The warehouse increases liquidity at the dealers and enables them to concentrate on customers even more,” commented Charles Frump, Managing Director – Volvo Car India at the recent warehouse grand opening. This is an important milestone for DSV and Volvo, as Volvo recognises DSV’s experience in delivering superior supply chain solutions in the growing Asia Pacific markets. From the strategically located newly built warehouse in Bhiwandi, DSV will manage, store, pick and optimise shipments to Volvo’s dealer network throughout the Indian subcontinent ensuring the delivery of Volvo’s service promise to their customers. DSV and Volvo are engaged in joint business ventures around the world. Their history dates back to the 1980s, covering a multitude of aspects from personal cars, buses and trucks, heavy equipment and marine engines to sequenced production and finished vehicle logistics, assembly, warehousing, value add services, spare parts handling and distribution.